It’s been four long years since United last qualified for the Champions League knockout stages. Tonight they’re on the brink and only have to avoid a 7 or more goal defeat in order to make it through. Standing in their way is CSKA Moscow. With unlikely chances of making through, it means that CSKA must win by seven or more goals to qualify themselves and avoid Europe League mediocrity (something their opponents have had to deal with in recent seasons). That’s all due to Basel being in a strong position to make it through, as they play Benfica. The in-form Armeitsy are on a four-game winning streak and are also on three-game clean sheet streak. That stands them in good stead for a solid defensive performance in this encounter but they are still seven points off the top spot of the Russian Premier League, as they narrowly sit in 3rd place and have key men ruled out. Through suspension, three different styles of midfielder are missing. Their creative man Roman Eremenko, holding man Pontus Wernbloom and box-to-box man Bibras Natkho are the culprits. They also have a shocking two men out with broken legs, defender Alexei Berezutski and midfielder Georgi Milanov both suffering that fate. Also, Georgi Schennikov has a broken ankle that keeps him on the sidelines. That means a more make-do lineup will play. It’s expected that CSKA will start with either a 3-4-3 or 3-5-2 formation which suits their style well. Goalkeeper Igor Akinfeev reached an incredible stat by keeping his first Champions League clean sheet in 10 years (44 games) in the last match day. In addition, their right wing-back Mário Fernandes has been a consistent figure within Viktor Goncharenko’s side with his tenacity up and down the pitch. Moving up the field, Alan Dzagoev is a threat as both a goalscorer and assist man. Their highest scoring player this season has been Brazilian forward Vitinho who leads their line. There’s no doubt that CSKA face a tough task ahead and will have to be at their best in order to advance. A realistic head will likely be on the shoulder of Goncharenko and his Armeitsy will need to be as expecting of a disappointing night. Their formation could well be matched by United who seem to be adapting well to the system. Confidence seems rife in the United camp before a highly anticipated season-defining clash against Manchester City at the weekend. With a system in place that has them in good form, it’s expected it will stay intact. Experimentation however may well be seen throughout the match. 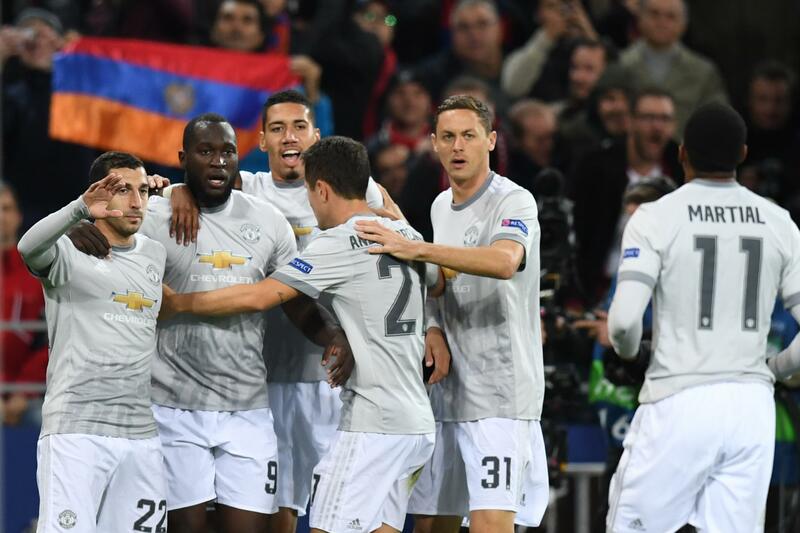 A chance to win the group by simply bettering or matching Basel’s result is there too which will lead to an ‘easier’ opponent in the knockout stages. The loss of the suspended Paul Pogba for the entirety of next week’s three Premier League matches means the in-form box-to-box man can fully immerse himself in the game with no fear of possible fatigue dilemmas for upcoming matches. Other than that, all of Eric Bailly, Michael Carrick, Marouane Fellaini and Zlatan Ibrahimović remain out, so José Mourinho has already confirmed some starters. In between the sticks will be Sergio Romero who lost a rare European match last match-week. The aforementioned Pogba will also start whilst Luke Shaw is definitely in the squad along with goalkeeper Joel Pereira. There’s a good chance Daley Blind and Matteo Darmian could infamously return as wing-backs as the trio of Victor Lindelöf, Marcos Rojo and Chris Smalling will likely keep intact despite Phil Jones returning to train. As well as David De Gea (rife in the news following his weekend heroics in which he made a record-equalling 14 saves in a single Premier League game), Nemanja Matić will be almost certainly be rested leaving room for Ander Herrera. The men in blistering form, Jesse Lingard and Anthony Martial, could play either side of Romelu Lukaku or Marcus Rashford, but the out-of-favour Henrik Mkhitaryan could return to the starting lineup. There’s also a possible chance for youngsters Scott McTominay and Axel Tuanzebe to make their mark in the competition before it breaks for the calendar year. Overall, it should be a steady evening for the Reds but everyone involved at the club knows a good result will hugely benefit their chances of winning the derby. All eyes will be on other matches too as the final chance to qualify is upon us. A very different game for either side means it should be an interesting contest, but no one expects a blinder of a battle. The sweet feeling of Champions League qualification or winning your group is not to be underestimated though.